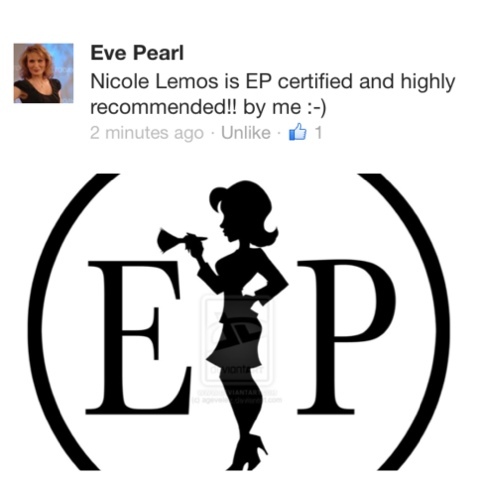 Eve Pearl is a 5 time Emmy Award winning Makeup Artist with over 18 years experience! She has developed a line of fusing cosmetics and nutrients together. As well as adding a very important ingredient to her cosmetic line, Astaxanthin! CosmeNutrients®: Cosmetics infused with nutrients. Combining the unique blends of vitamins, minerals, proteins, peptides and anti-oxidants into multi-functional cosmetic formulations. This luxurious makeup line provides a light, non-greasy yet smooth application, allowing skin to breath. The nutrients nourish, help protect, restore and renew the skin's texture and elasticity. It also reduces the appearance of pores, fine lines and wrinkles. For all skin types, especially sensitive skin. No more blotchy skin. No more redness!!! 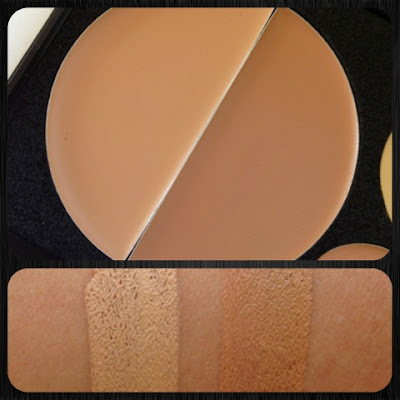 This lightweight cream foundation gives you the coverage you need. You can a achieve sheer, medium to full coverage without that greasy, heavy feeling on your skin, while allowing your skin to breathe. 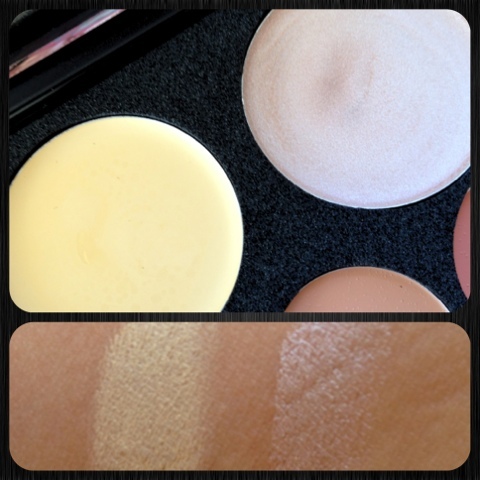 There are two shades of foundation to create your natural looking highlights and contours of the face! This foundation is created with a universal spectrum of colour in the pigments to adapt to your own skin tone and the changes caused by body chemistry, weather and sun exposure. Mattifier is a beautiful product for keeping your oil at bay! I've been testing it out for the past week with this hot weather and it has been holding up! No it doesn't stop shine completely, but it has definitely toned it down. I apply this all over my T-Zone (forehead, nose & chin) before I apply my foundation to create a base of oil protection for my makeup! Illuminator is a gorgeous iridescent pearl. It is so subtle and the shimmer is so fine that it gives your skin that natural youthful glow. Apply this to your highlight areas of the face (above your cheekbones, along the bridge of your nose, even your inner pocket of the eyes) to brighten your face, and give it a young dewy finish! "No more dark circles! 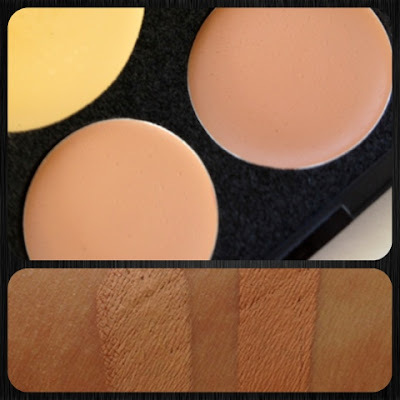 Revolutionizing the use of the “Salmon” or pinky/peach color as an under eye concealer to neutralize the dark blue undertones from the skin. (Yellows mixed with the blue undertones create those greenish/grey raccoon eyes that are highlighted and only accentuate the problem area.)" Just like the HD dual foundations this can be use for sheer, medium and full coverage. Also has the light feeling on your skin, as well as it adapts to your own skin! Seriously hands down BEST concealer out there! 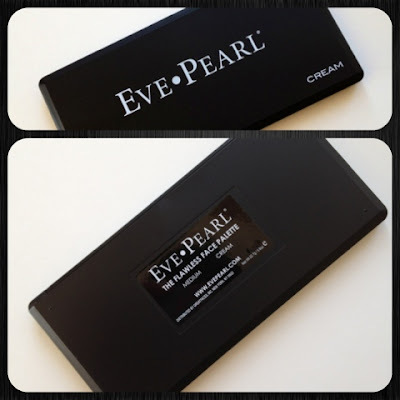 Nothing is better the Eve Pearl! I have to admit I'm not the biggest fan of cream blushes. I don't really use them all that often! 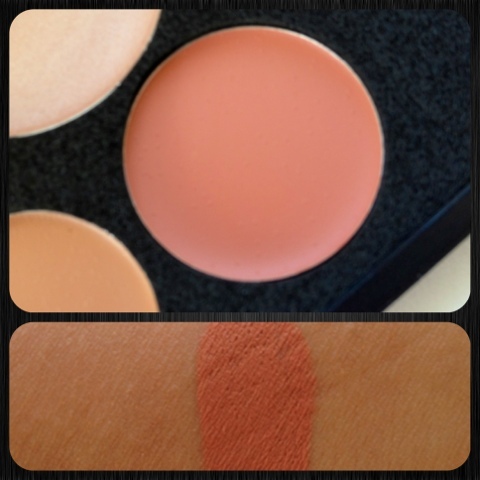 This blush is smooth and creamy! Use a sponge to help blend it into the skin for the natural flushed look! This blush has the same non greasy feeling as well as the foundation and concealer! 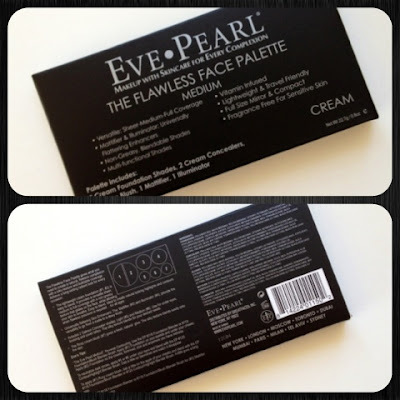 This is a dream in one easy portable palette! You have everything you need to create beautiful radiant skin! You can do an over all matte look or go soft and dewy! What I like to do is be the best of both worlds and go matte in the T-Zone and dewy on the top of my cheek bones! This Palette is available in Light, Medium, Tan & Dark! 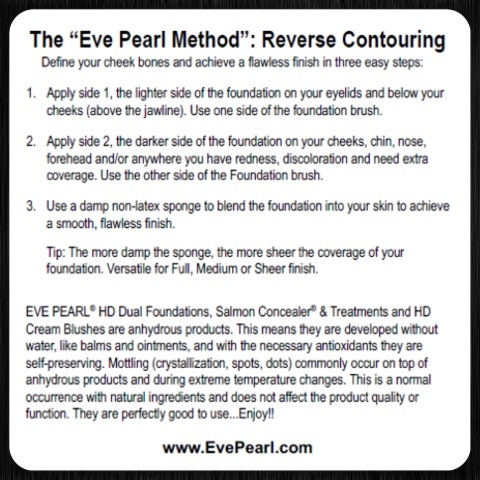 I have never experience the coverage that Eve Pearl products gives me! The way it eliminates dark circles, redness and gives an overall evenness to my skin is incredible! 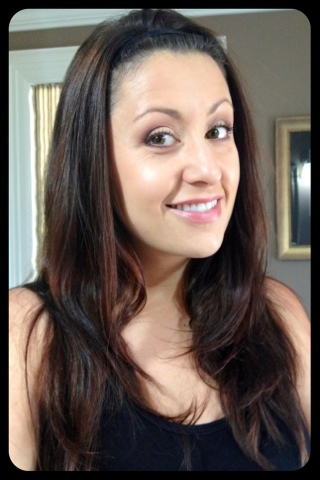 Her line of foundations, concealers and powders are all I use on myself and my clients! I don't trust anyone else! The simple fact that there isn't all these chemicals in the makeup and full of actual nutrients to feed my skin... Amazing! The packaging is sleek and thin. 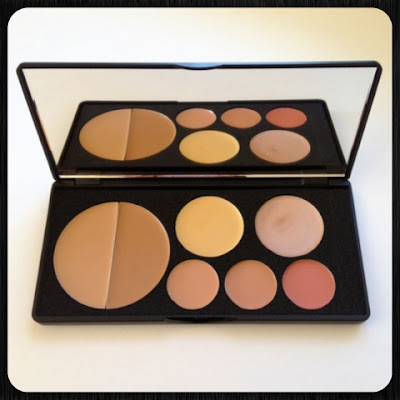 There is a full size mirror included in the palette which makes it great to travel with. The price, I really didn't mind for all the product you get in the kit! Your buying top of the line in my opinion! I think this kit is a great way of testing out her products as well. Would I buy it again: Yes, for travelling purposes! I already carry her full foundation line! To see a mini review on her liquid foundation and concealer, on my post "Five makeup products I can't live without"
Tanya Ellis from ME photography (friend and client): "Love this product.. it's light weight, doesn't settle into my fine lines or pores and looks very natural. 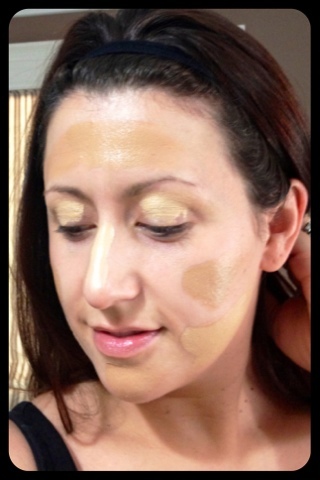 concealers go on smooth and do not crease under my eyes and gives amazing coverage. The blush is very natural looking. Lipgloss is nice and natural as well and not sticky like some glosses. Only downfall is for the price, you don't get much product." 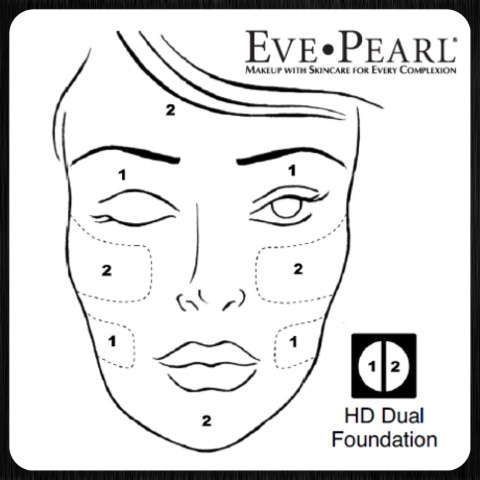 Go HD, Go Eve Pearl!!! To check out my review on this palette click here! wow this stuff looks great!! you are gorgeous!! I love the end result, but SHEESH that's a steep price! Does look amazing though, hun. You look so so beautiful, I envy you so much, how much will cost me if I would like to ship it here in Texas? I've read more about this product and you said it contains astaxanthin, and I've also read about astaxanthin articles from Dr. Mercola. I Astareal product reall is great! I'm not sure how much it is to ship to Texas you could call them toll free 1-866-335-1550. Their shipping is fast! I live in Toronto, Ontario and it takes one day (roughly), they're located in New York! If you try her products out, I promise you love her products and the end results! Thanks for stoping by, Xo! Anti-wrinkle creams not only reduce fine lines but also prevent the signs of aging in the future. A naturally produced face cream can be applied any time during the day or at night to help your skin get back its youthful appearance.